Which Will & Grace Star Has the Best Post-Show Career?Life after an era-defining sitcom is never easy. 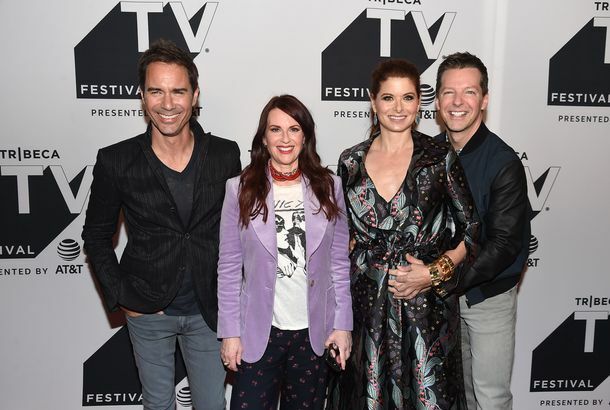 The Will & Grace Revival Will Pretend That Finale Never HappenedWhen the show returns, Will and Grace will be happily (?) single and still living together. Eric McCormack’s Perception Adds Freddie RodriguezHe’ll have a two-episode arc. Trust Me CannedDespite generally strong reviews and a product-placement-friendly premise, the show won’t be back next year. Don’t Look for Rob Zombie to Start Directing Costume Dramas Anytime SoonPlus: Kanye asks why people just won’t let him be great. Pilot Preview: TNT’s ‘Truth in Advertising’ Is the Will & Ed ShowTwo sitcom lawyers return, in an ad-agency drama. Dita Von Teese Dishes Practical AdviceBobby Brown, Kanye West, and more!